“We must break the silence that permits mental-health services to remain untreated and publicly call for mental-health-parity implementation.”During the presidential campaign, we heard a lot about health care but virtually nothing about mental illness. That’s shocking, because unless implementation of the Mental Health Parity Act becomes a public policy priority, we will continue to fail to provide adequate health care to our population. Moreover, we will suffer the costly consequences, likely on the order of tens if not hundreds of billions of dollars. This is a particular problem in Rhode Island, which has the highest rate of serious mental illness in the country, according to the Substance Abuse and Mental Health Services Administration. The National Institute of Mental Health estimates that each year more than one out of every four adults experiences a diagnosable mental disorder. The costs are staggering. PriceWaterhouseCoopers estimated that the medical treatment, non-medical and long-term-care costs related to brain disease in the United States in 2012 would exceed $900 billion each year. This year, direct treatment costs of $515 billion could approach almost 20 percent of all health-care spending. About 5 percent of our population — 7.2 percent in Rhode Island — has a serious mental illness, such as schizophrenia, major depression or bipolar disorder, and 5 to 9 percent of all children have a serious emotional disturbance. A report of the U.S. surgeon general, however, found that less than a third of adults and half of children with a diagnosable mental disorder receive treatment. There are several reasons why Americans don’t seek mental-health-care services. Research indicates that problems with insurance coverage rival the perceived stigma as leading reasons. Treatment would help a lot of people, if only they had the same access to mental-health services as for other medical problems. According to the National Mental Health Association, the success rate for treating clinical depression is over 80 percent. Instead, diseases go untreated, people do without needed care, and costs mount. Untreated or ineffectively treated mental illness costs hundreds of billions of dollars a year. In an analysis published in 2008, the director of the National Institute of Mental Health offered the estimate that in 2002 serious mental illness cost the nation $317 billion in lost wages, medical costs and disability. He did not include related conditions: incarceration, homelessness, and early mortality. The amount is almost three times the cost of the war in Afghanistan. But mental illness will not end in 2014. These costs will continue until we provide better access to treatment. To understand how failing to treat mental illness costs money, look at the tragic experiments involving dropped coverage. Ten years ago, when mental-health and substance-abuse dependency were eliminated from Oregon’s Medicaid program, uninsured emergency-department visits for mental health rose by 37 percent. Similarly, many private corporations that reduced mental-health services found that their employees increased their use of medical benefits and sick days. They have since reinstated mental-health benefits to save money on hospital, medical, and surgical costs. Efforts to limit coverage continue. Loopholes called “carve-outs” let insurance plans turn mental-health benefits over to separate companies that decide the terms of who gets coverage and under what circumstances. These carve-outs are associated with poorer outcomes for the most seriously ill patients, who experience loss of continuation of physician care and medications, and then experience higher rates of arrest and incarceration. The bipartisan Mental Health Parity Act can help increase access to treatment, but implementation needs considerable attention. The law requires Medicaid managed-care plans and insurance companies offering employer-sponsored health plans for companies with 50 or more employees to treat mental illness (including addiction) disorders no differently than other medical conditions. The law does not require plans to offer addiction and mental health benefits. It says that if they do, they must do so with the same co-pays, deductibles, and annual and lifetime caps on all covered services, medical or mental. Health plans cannot manage mental health/addiction benefits more stringently than they manage medical benefits. If out-of-network benefits are offered for medical/surgical procedures, they also must be extended to mental-health services. But there are no publicly available data about compliance with this law. The federal government still has not issued a final rule to provide clarity on what employers must cover, and how parity between the management of medical care and mental-health care applies. Some plans subject mental health benefits to a stricter form of cost containment than medical benefits, under the rubrics of “medical-necessity criteria” (the standards by which a health plan determines whether a particular treatment is needed), “utilization review” (when a health-insurance company reviews a request for medical treatment), “fail-first requirements” (such as requiring a patient to fail at outpatient treatment before being able to receive inpatient or residential treatment) and prior authorization for services. There is also confusion surrounding how the law applies to Medicaid-managed care plans. The federal government has promised further guidance for states, but to date, there are no rules. While some states such as New York have issued helpful guidance on parity for Medicaid providers, many states are doing nothing to enforce the law until they receive further clarification from the federal government or political pressure to do so. Mental health parity will only happen if it is a policy priority of President Obama and the states. We must break the silence that permits mental-health services to remain untreated and publicly call for mental-health-parity implementation. 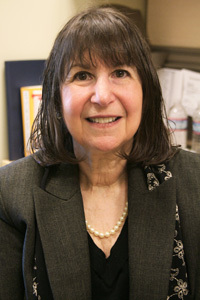 Judith D. Bentkover is an adjunct professor of health services, policy, and practice at Brown University, academic director of Brown’s Executive Master of Health-Care Leadership Program, and a professor of economics at Tufts University.